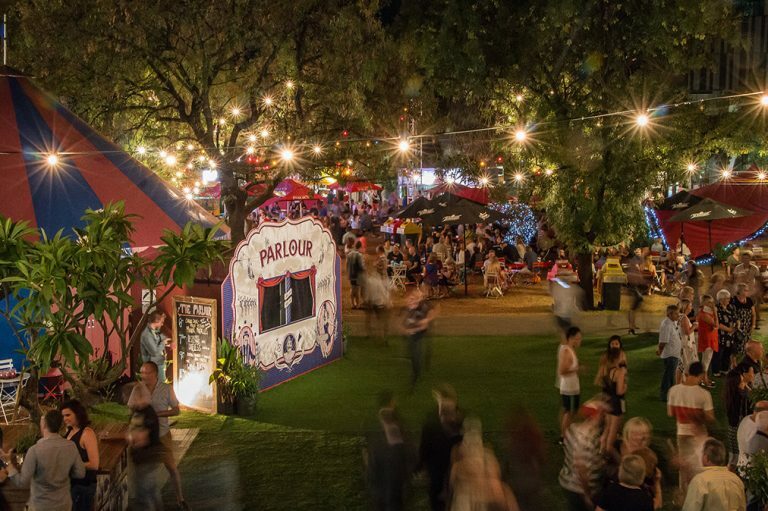 The Parlour originally developed for Sydney’s ‘Spectrum Now Festival’, in design collaboration with Yakusan. 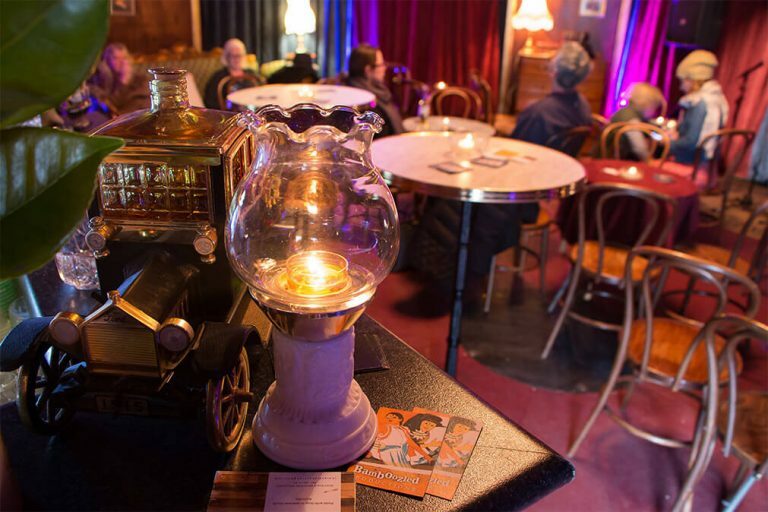 It’s enchanting wooden facade – adorned with deep maroon and navy Trompe-l’œil detail – canvas roof, and rich velvet interiors, echo a bygone era. 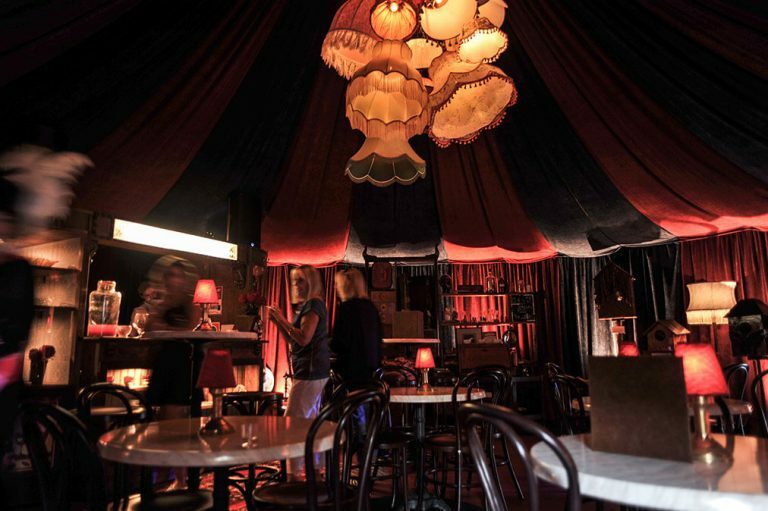 Immediately evocative of Victorian circuses and opium dens, the decadent venue allures with the dark, the exotic and the unfamiliar. 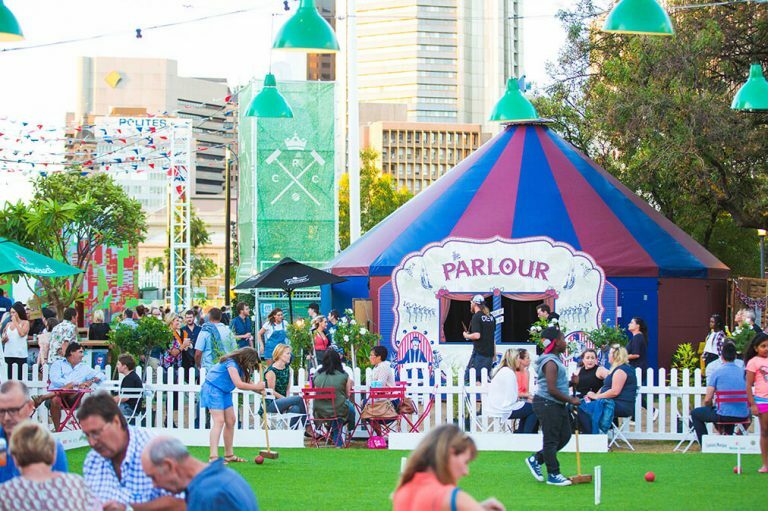 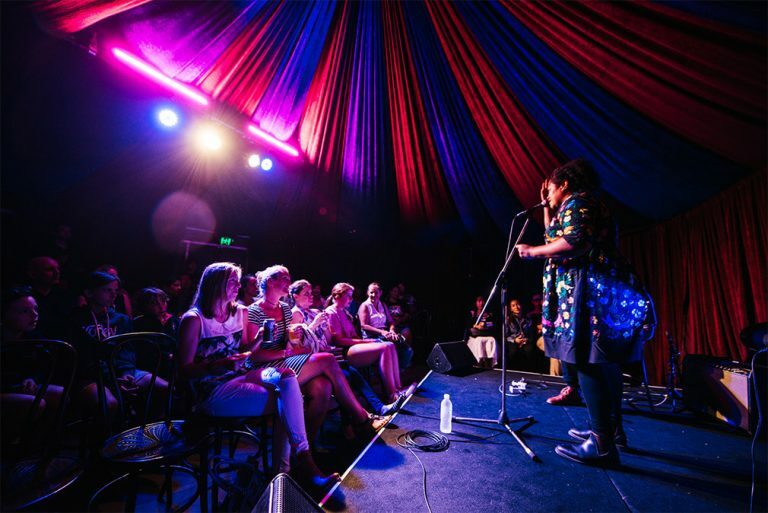 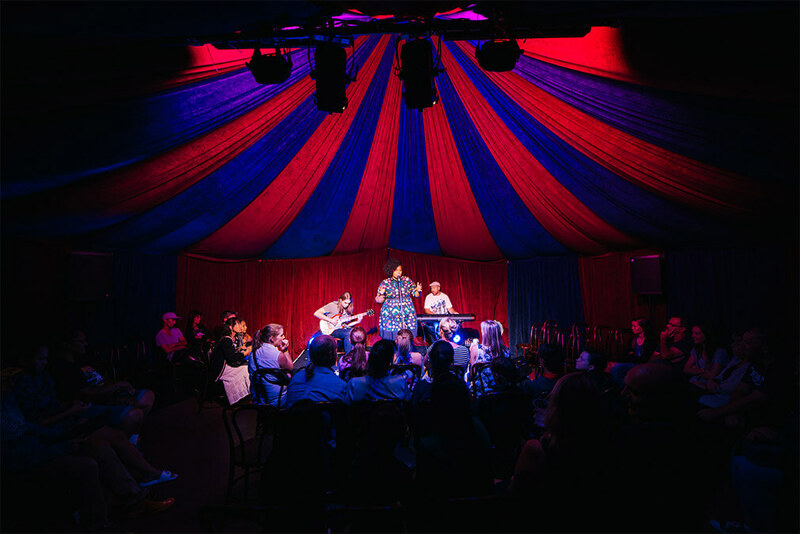 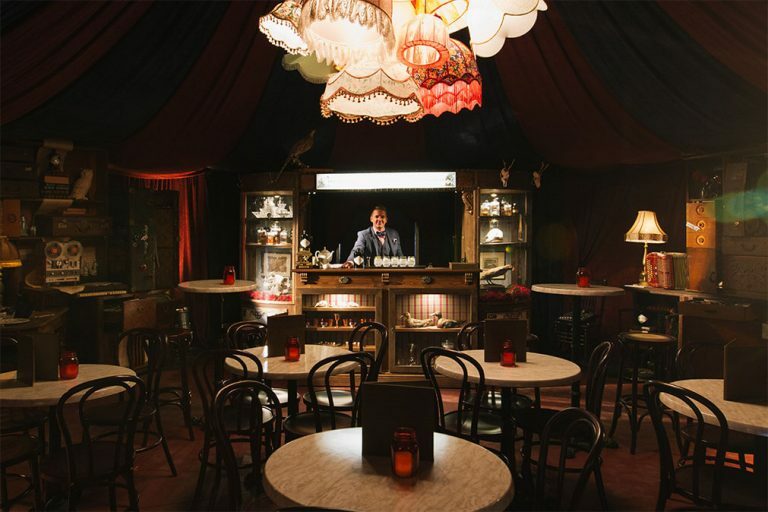 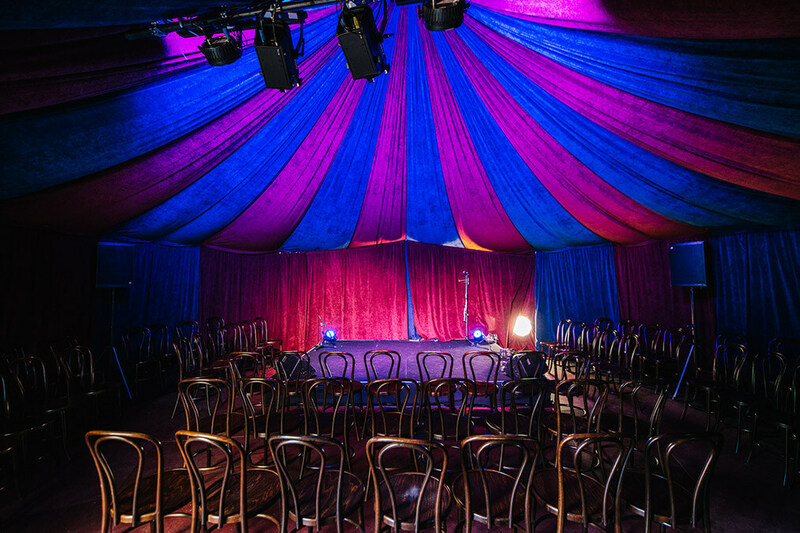 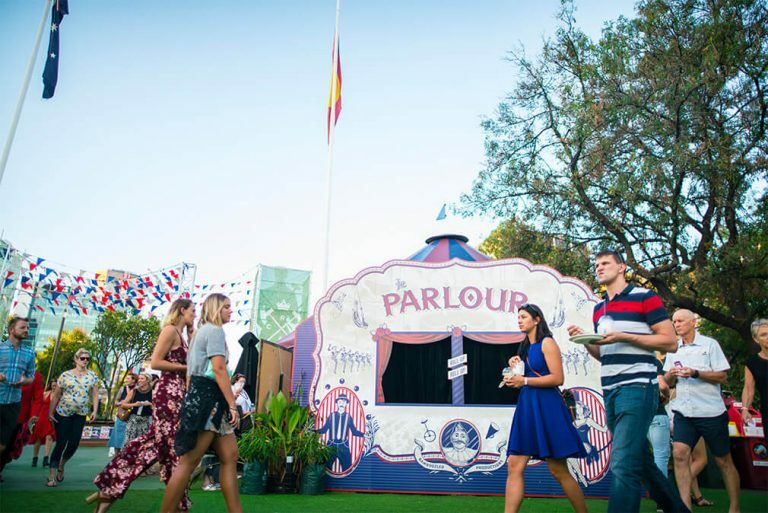 With a flexible interior layout (including the ability for cabaret-style set up) and circus rigging bar, The Parlour is set to be the star of many events to come. 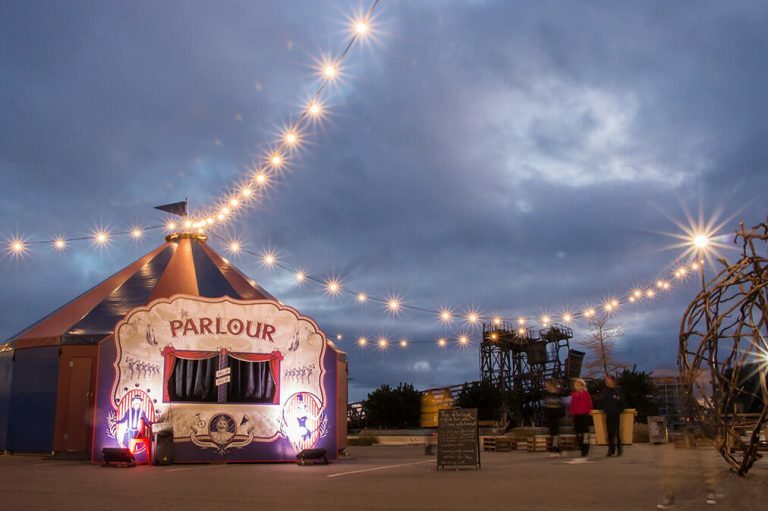 Their (Bamboozled) professionalism & attention to detail was second to none which paid a huge part in the success of the brand activations in both Sydney (Spectrum Now festival) and Hobart, Tasmania (Dark MOFO festival).